Beneficiaries benefit hugely from a family-oriented trustee who brings responsive leadership and is purposefully helpful during changing times; a trustee that listens, is flexible, is determined to be supportive, and understands the maturing beneficiary family as well as the wishes of the benefactor. That’s the human factor. 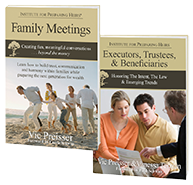 This is the third in a series of articles based upon the new book, Executors, Trustees and Beneficiaries: Honoring The Intent, The Law and Emerging Trends, from the Institute for Preparing Heirs. 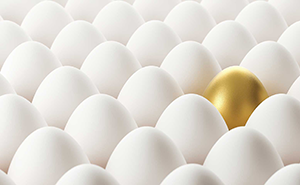 This article focuses on new thinking and emerging trends around the role of trustee. 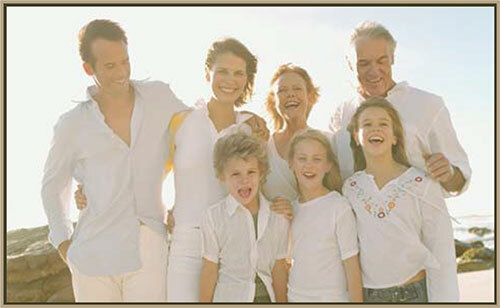 Estate attorneys are frequently chosen based upon their understanding of the family and the law. Family members are chosen because benefactors want a “voice of the rising generation” to gain trustee experience. Teaming family members up with an estate attorney or other fellow professional trustee makes for a workable team. Institutional trust departments are usually chosen by benefactors to administer long-term or complex trusts. Today, trained and enlightened wealth advisors are realizing the importance of better preparation of heirs especially during the current Great Wealth Transfer ($50 trillion will pass from one generation to the next over the next several decades). Experience has shown that the notion of the estate/trust responsibility "landing" on the heirs at the time of the benefactor’s passing is simply too traumatic . . . assets are lost and family unity is disrupted. A couple was choosing the trustee of their trust. Their oldest daughter was the clear choice. She was a lawyer and was very responsible. However, after discussing their choice with their attorney, they decided not to just choose the oldest daughter. They named both daughters as co-trustees so that the eldest did not wield all of the power over her sibling and negatively impact the children's relationship. In order to prepare the two sisters for their roles, they held several family meetings to explain how the dual role would work, and how that might be affected by certain provisions of the estate plan. With open communication and proactive planning, the sisters’ relationship actually improved. How can parents avoid conflict among children regarding personal items? Creative families have done this by including instructions in the trust document. However, conflict among children regarding personal items is best handled with the children before the parents demise. Some sort of process can be applied where each child is allowed to choose a personal item, then rotating through the items again (and again) until all personal items are identified. Then those items chosen by each beneficiary can be included in the will, or stipulated as part of the trustee or executor’s responsibility. Often there are conversations among inheritors where prioritized choices are “traded” between heirs as part of an informal settlement process. Distribution of personal items can create hard feelings if the parents make the decisions without input from the beneficiaries. How does a Family Wealth Mission Statement give guidance to advisors when setting up the trust? It needs to be pointed out by the grantor or parents that the Family Wealth Mission Statement (FWMS) was specifically established to reinforce and build unity among family members, including spouses and children. As such, it should serve as a “litmus test” for the multiple provisions of wills and trusts to ensure that legal documents do not violate the intentions stated in the FWMS. The FWMS “rules” or “guides” the legal documents, not the other way around. Professional advisors need to honor the FWMS first, and then draft documents that do not contradict the FWMS. Not for tax reasons, not for legal reasons, not for convenience or ease of administration reasons. What are some of the hard decisions forced upon a trustee? A good example is mediating the understanding of vague trust language, such as the trust paying for “educational support” of its beneficiaries. Does that mean private school and related expenses? Does that mean off-campus housing if the parent feels on-campus housing isn’t adequate? What about trade or vocational schools? Is travel abroad a reasonable educational expense? Is it educational only if the beneficiary is a geography or language major? Or is it only approved for language majors if they travel in the country where their collegiate language major is also spoken? Differences of opinion among the beneficiaries as to what are qualified distributions under the language of the trust will be the source of most hard decisions. If the family has developed a shared Family Wealth Mission Statement with a glossary of all key terms, this document gives guidance especially where education is concerned. What’s the best thing that can happen as a result of being a good trustee? The best thing that can happen is a trustee’s personal feeling of inclusion (with the family) and their appreciation. As a good trustee, a caring service is being delivered to the family by a trustee willing to make adjustments over time, and who cares enough about the family to serve as an educator and mentor to those beneficiaries as they mature and take on asset responsibilities of their own. It may be best illustrated by beneficiaries looking forward to someday becoming trustees on their own . . . and that’s the best thing that can happen. Pre-order copies of Executors, Trustees & Beneficiaries due out this month.